The crimson colour makes this handle bag look saintly and this essence is furthermore accentuated by detailing a sturdy elephant in red embroidery work. The Read More..entire product is carved with floral designs. 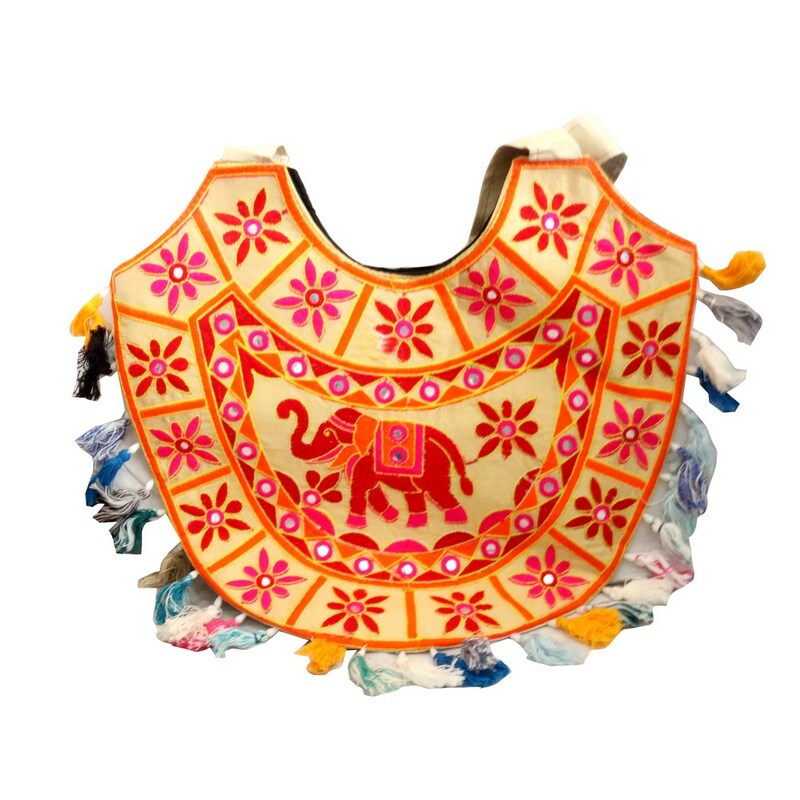 This semi-U shaped bag is suitable for traditional occasions and other activities. Show Less..